It’s a durably engineered machine with a rechargeable battery and AC adapter that makes printing labels from 6mm to 18mm wide simple. And it’s also compatible with high-grade and self-laminating tapes, as well as heat-shrink tubes. 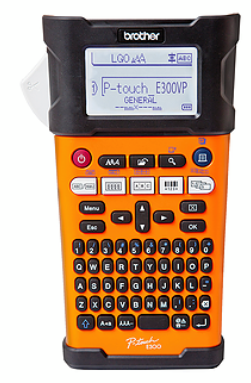 The PT-E300VP comes pre-loaded with 384 commonly used symbols, along with 9 barcode protocols, all easily accessed via a PC-style keyboard and large backlit LCD screen.